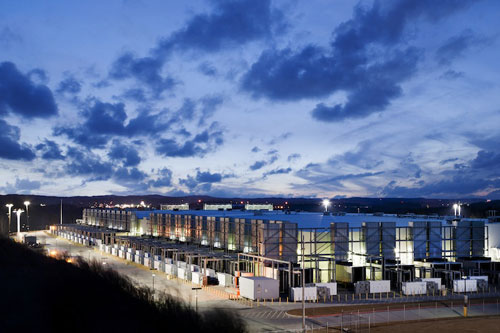 At Google, Zero Waste to Landfill means that when waste leaves our data centers, none of it goes to a landfill—100 percent is diverted to a more sustainable pathway, with no more than 10% of it going to a waste-to-energy facility, unless waste-to-energy can be proved more valuable than alternative diversion paths. Our approach is based off the standard created by UL Environment who we partnered with to ensure the guidelines we created for our facilities were aligned and compliant with how UL defines and monitors the process. At the end of last year, we announced that we were purchasing a whopping 842 megawatts (MW) of additional renewable energy to power our operations and take us one step closer to running 100 percent of our operations on clean energy. Today, we walked further down that path by agreeing to purchase an additional 236 MW of energy from two new wind farms in Norway and Sweden. We’ve known for a long time that reducing energy usage and using renewables makes good business sense - we signed our first major power purchase agreement for 114 MW of Iowa wind in 2010. Others are discovering the benefits of renewables too - in the US alone, companies bought almost 3.5 GW of renewable energy last year. We’re pleased to have played a part in stimulating the market for corporate renewable energy purchasing and doing our share in the effort to mitigate climate change. From 2010 to 2014, usage grew 4 percent. 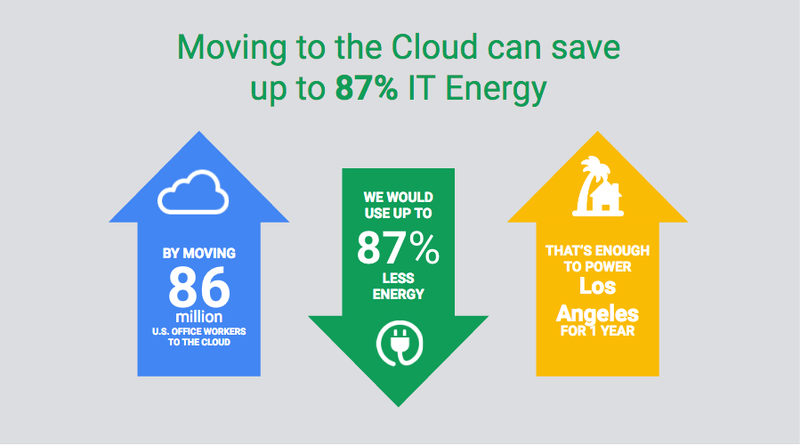 Efficiency in data center operations like Google’s comes from shifting to super efficient computing, along with improvements in storage, network and infrastructure, employing more advanced cooling strategies, better power management software, and consolidating servers. in France last year. The focus of the annual gathering for the seventh Clean Energy Ministerial, known as CEM7, was to discuss how to achieve the goals set in the Paris climate change deal as well as see some of the innovations coming out of Silicon Valley to tackle the issue head on. A number of ministers embarked on a fact finding mission that included Google where they came to learn at first hand about our approach and commitment to clean energy and the climate. Senior Vice President for Technical Infrastructure Urs Hölzle told the group that renewable energy is critical for businesses like ours -- from powering our data centers to our products and services. US Energy Secretary Ernest Moniz who led the visit to Google was joined by ministers and officials from countries like the Netherlands, Denmark, Germany, Italy, Chile, India, Indonesia, and South Africa. The group got the opportunity to see at first hand a number of projects aimed at everything from helping people make smart choices about solar power to how we power our data centers with renewable energy, and from advancing new approaches to wind power to helping consumers save energy in the home and the benefits of self driving cars. 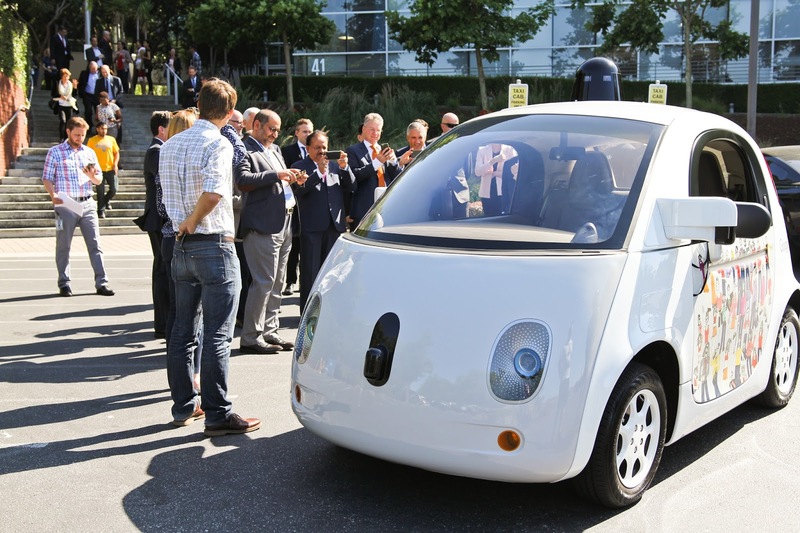 Self-driving cars could reduce the energy intensity per vehicle through a combination of more efficient vehicle designs, driving behaviors, routing, power usage, and capabilities for vehicles to drive closer to each other, according to U.S. Department of Energy, 2014. In an effort to build on this week’s momentum the CEM launched a campaign that will promote solutions that enable more companies to purchase renewable power. 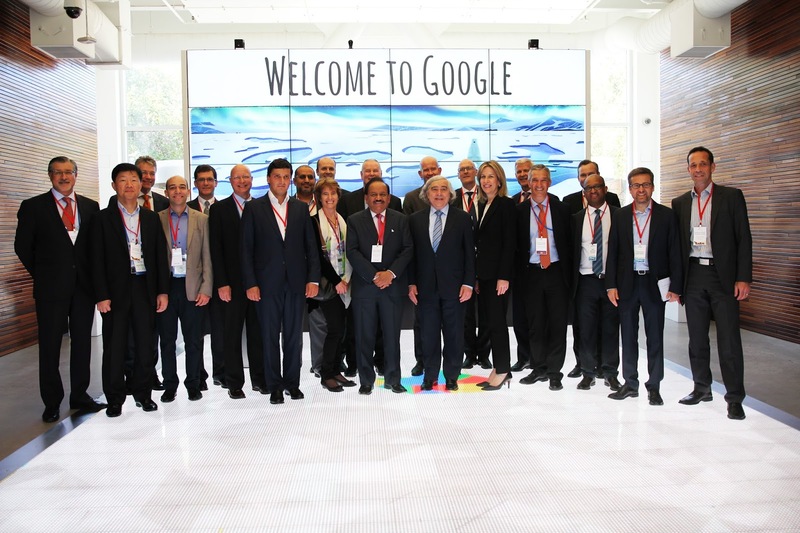 As part of this effort, Google has agreed later this year to host national governments, renewable energy buyers and suppliers, NGOs, and other interested groups as they look for ways to further unlock corporate renewable energy demand in CEM countries. Energy ministers from around the globe visited the Bay Area this week for their first meeting following the signing of historic climate change agreements in France last year. The focus of the annual gathering for the seventh Clean Energy Ministerial, known as CEM7, was to discuss how to achieve the goals set in the Paris climate change deal as well as see some of the innovations coming out of Silicon Valley to tackle the issue head on. to power 100% of our operations with renewable energy. To that end, we’ve purchased more than 2 gigawatts of renewable energy to date, making us the world’s largest non-utility purchaser of renewables. Our data centers – including our facilities in Taiwan and Singapore that help us provide people in Asia with faster, more reliable access to our tools and services – make up the majority of our electricity consumption. We are working to power all of our data centers around the world with renewable energy, but one of the challenges we face in Asia is that effective renewable energy certification programs simply aren’t available. To help address this, we’re announcing today that we’re providing seed funding to the Center for Resource Solutions (CRS) to begin laying the groundwork to establish such programs across Asia, starting in Taiwan. They have over 20 years of experience developing and operating renewable energy certification programs. These kinds of programs are key in helping companies like Google actually know that the power we are buying comes from a renewable source. They work by “tagging” each MWh of energy generated from a source like wind or solar as renewable, which creates a renewable energy certificate (“REC”). This is especially important to us in Taiwan, where we are actively looking to purchase renewable energy for our data center. The video below from CRS explains how this works for some customers. In Google’s case, we buy both the physical power and the RECs associated with that power, providing us with both the financial benefits of renewable energy and the assurance that the electricity we are buying is in fact renewable. It may not sound like much, but these programs are critical to creating well-functioning voluntary renewable energy markets. For the dozens of Fortune 100 and Global 100 companies that have renewable energy commitments, RECs are a critical instrument to ensuring that renewable energy purchasing claims are accurate and verifiable. They have played a key role in enabling companies in the United States to grow their renewable energy purchasing from about 100 MW in 2012 to over 3,000 MW last year. With this support from Google, CRS will begin examining how best to structure these programs across Asia to create robust voluntary renewable energy markets. They will also begin building a coalition of international stakeholders from the public, private, and NGO sectors to drive these efforts forward. Organizations interested in supporting these efforts may get more information here. At Google, we’ve made a long term commitment to power 100% of our operations with renewable energy. To that end, we’ve purchased more than 2 gigawatts of renewable energy to date, making us the world’s largest non-utility purchaser of renewables. Google unites with other tech companies to support US Clean Power Plan. The CPP aims to accelerate the transition to cleaner sources of electricity and puts an emphasis on renewable energy development and energy efficiency. The plan has been put on hold pending the outcome of a legal challenge. 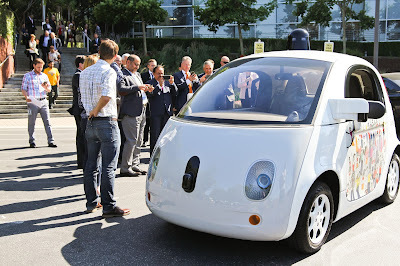 At Google, we have been carbon neutral since 2007. We have signed contracts to purchase over 2GW of renewable energy -- equivalent to taking nearly one million cars off the road -- making us the largest non-utility renewable energy purchaser in the world. Just last year we signed the largest and most diverse purchase of renewable energy made by a non-utility company to power our data centers. The deal covers a series of new wind and solar projects around the world and takes us one step closer to our goal of powering 100% of our operations with clean energy. Above and beyond our own power purchases, we have also invested more than $2.5 billion in 22 other renewable projects around the world. These efforts underline the seriousness of our commitment to renewables and we believe the CPP is an important step in the transition to a cleaner energy future. The message from our companies today is clear -- we can meet the world’s future energy challenges in a way that drives innovation and growth while tackling climate change. Posted by Michael Terrell, Principal, Energy and Global Infrastructure. 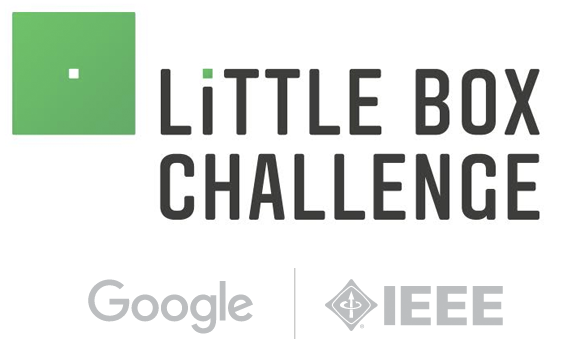 launched the $1 Million Little Box Challenge, an open competition to design and build a small kW-scale inverter with a power density greater than 50 Watts per cubic inch while meeting a number of other specifications related to efficiency, electrical noise and thermal performance. Over 2,000 teams from across the world registered for the competition and more than 80 proposals qualified for review by IEEE Power Electronics Society and Google. In October 2015, 18 finalists were selected to bring their inverters to the National Renewable Energy Laboratory (NREL) for testing. which boosts our overall purchasing to over 2 GW of renewable energy capacity. This has the same carbon impact as taking nearly 1 million cars off the road and helps us get closer to our 100% goal. But what does it really mean to be 100% “powered by renewables”? Fundamentally we mean this: Google purchases, on an annual basis, the same volume (MWh) of renewable energy as the volume of MWh of energy that we consume for our operations. Indeed, there are tangible benefits to using the grid, such as helping to manage the variability of renewables. 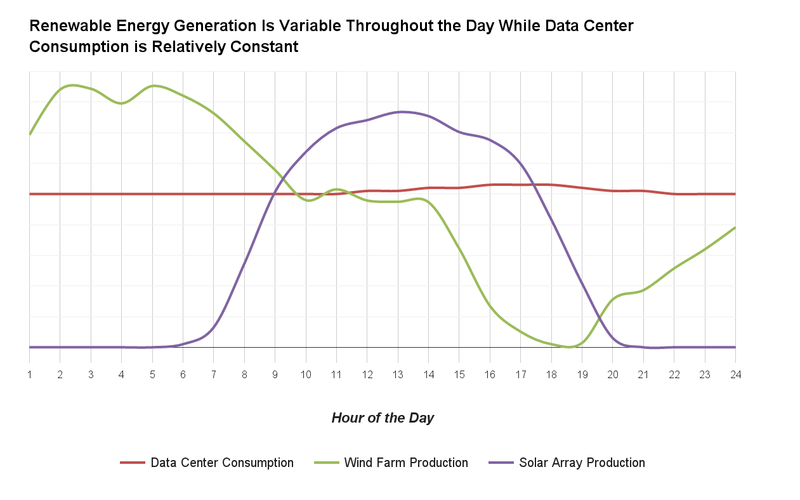 For example, our Iowa utility, MidAmerican Energy, has a portfolio of energy generation that is comprised of 40% wind and takes advantage of a large regional network to manage any variability in its system or in an individual wind resource. 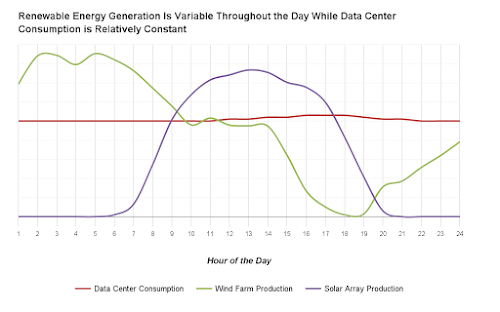 Similarly, in Europe, the energy provider for our Finland data center purchases renewable energy in Sweden and uses the Nordpool regional electricity grid to manage variability and deliver us consistent 24x7 power. Bundled physical energy and its “renewable certification”. We purchase both the physical renewable power and the corresponding certification of its renewable source - “RECs” in the United States and “GOOs” in Europe - which represents the “green-ness” of the power (a detailed explanation of this is here). Many companies simply buy RECs or GOOs from existing projects on the open market, unbundled from the physical power. We set a high bar at Google and always seek to purchase these together. As we grow we may find ourselves temporarily oversupplied in some regions and undersupplied in others (where access to renewables is currently more limited). We will also be drawing power from the grid to meet our 24/7 power supply needs, which means being dependent on the local grid mix even if portions of it are non-renewable -- although as explained above, we will have separately purchased enough MWh of renewable generation to “cover” this non-renewable portion. Over the long term, we know that to be serious about solving climate change and reaching 100% renewable, we will need to do more. To that end we are supporting policy and market reforms including effective design and rollout of the Clean Power Plan and the creation of pan-European electricity grids, working on new technologies like Project Sunroof and Makani Power, and conducting in-depth research on data center design to maximize energy efficiency. And we’re looking for opportunities to repurpose traditional electricity infrastructure as we did with our renewable-powered data center on the site of a former coal plant in Alabama. Big dreams lead to big steps and that couldn’t be more true at Google. We’ve made a commitment to power our operations with 100% renewable energy and to date we’ve made great strides towards that goal. Last month we announced 842 MW of new renewable energy purchases in the US, Sweden, and Chile which boosts our overall purchasing to over 2 GW of renewable energy capacity. This has the same carbon impact as taking nearly 1 million cars off the road and helps us get closer to our 100% goal.